In what seems to be a move to pacify Dhoni, after VVS Laxman refused to invite him for his private function (no, not Sherlyn Chopra style), the BCCI chief Sreenivasan hosted a party for the Indian Captain. Our source had an occasion to attend the party which was otherwise open only to past and present day cricketers, IPL team owners, and Srini's coterie. Obviously, our source didn't fit into any of the above categories. Srini's numerologist, who happened to be a distant relative of the owner of a Dosa outlet in Goa, came in handy and allowed our source to sneak into the party just like the ball sneaks into Tendulkar's defence these days. 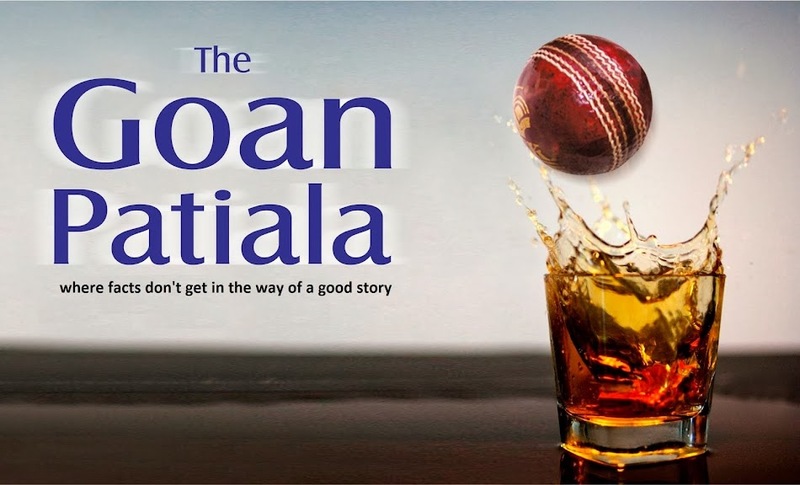 After a few drinks the players dropped their guards, tongues started loosening alongwith tie-knots and most of the guests couldn't tell Rohit Sharma from Joginder Sharma. That Joginder Sharma would have batted better than Rohit today, is a different story. Q: What do you think about Unmukt Chand? Can he become the next Virat Kohli? A: I will play cricket as long as I enjoy playing. There is no question of retirement. Q: Do you think the public outcry regarding Lata Mangeshkar trying to sell the Jayaprabha studio is justified? What do you think of this, as a Maharashtrian? Q: Do you think there will be a rollback on the reforms by the Congress now that opposition is demanding it? Brilliant! All the leaders who abandon Karan Thapar's show should take a cue from the Master Blaster. In fact we think Sachin should start a preparatory course for all the guests who are invited on Arnab Goswami's show. Finally we got to question the Master Blaster, with better results. Q: Sachin, you just said you would play cricket as long as you enjoy it, but you kept getting out, bowled, in the NZ series. Can you still say you enjoy your cricket? A: Most definitely (laughs). What it has got to do with me getting bowled? I enjoy my cricket. I attended the Ambani's bash the other day at Antillia, attended the launch of a premium car, did some LED Television Commercials. I really enjoy my cricket. And did you notice how in that LED TV ad I middled the ball to perfection in slow motion? Before we could ask him any further questions the MI guy whisked him past us. We saw Ravi Shastri, and headed straight to him to ask him if he thought India had any chances of winning the T20 World Cup in Lanka. Ravi said "Juss get a feeling that it maybe Pakistan this time". Suddenly the waiter approached Ravi with a Blue Martini and Ravi said "not for me...that's what the doctor ordered" pointing to Dr. Vijay Mallya who was taking the BBM pin of the PYT just a few arms away. The embarrassed waiter went to Mallya like a tracer bullet. With great difficulty we managed to get the Indian captain and only after it was confirmed that we were Srini's personal guests did he speak to us. Q: What is this thing about Laxman saying you weren't reachable? Don't you think as the Indian Captain, you should be available to the players? Dhoni: “Well of course, more often than not, I am always there. Laxman overreacted I feel. For the past year we have played so many matches against Sri Lanka that my wife calls up Mahela Jaywardena when I am not reachable. I spend more time with Sangakara and Mahela than the very special mahila in my life. So its not only Laxman, its Sita... 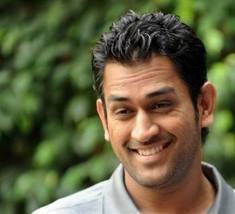 I mean Sakshi too...” said Dhoni with a sheepish grin. Q: Some players in the team say you are the great finisher…what you have to say? Dhoni: Well of course, I love to finish the game myself and don't want to pressurize the tail enders. Q: No, no we weren't talking about finishing the game… Manoj Tiwary and Ajinkya Rahane feel that you have finished their careers by playing Rohit Sharma instead of them. Dhoni: Look, Rohit is star material. Look at the way he enters the ground with a swagger. In fact he is like Shah Rukh Khan who charges a lot of money to make 5 minute appearances at weddings and inaugurations etc. Have you seen Rohit make his appearance last more than 5 minutes on the crease? Didn't he steal the thunder from Yuvraj the other day at Yuvraj's comeback match? Rohit survived two deliveries and was not out! Q: What about Laxman not inviting you for the his private party? We were informed you were quite upset with Laxman leaving you out? Dhoni: Well of course nothing like that. More often than not whenver I have been invited by overseas captains, it has been miserable. So I am actually happy to not be invited by anybody. Q: This is news to us! Which other captains invited you? Strauss, Ponting? And where were their parties? You must be one of the luckiest Indian captains! Your satirical style of writing never disappoints. Your concept and plot are very unique which makes your articles even more interesting.